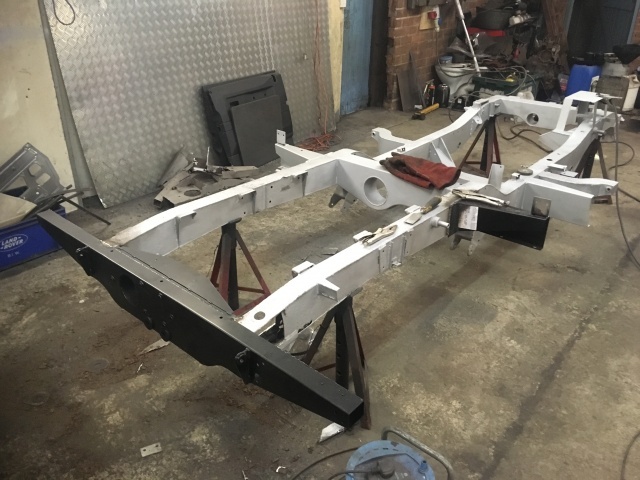 We offer Land Rover chassis and bulkhead repairs and restoration services, this is where the customer requires the original Land Rover bulkhead or Land Rover chassis to be restored, perhaps for historical or sentimental reasons. 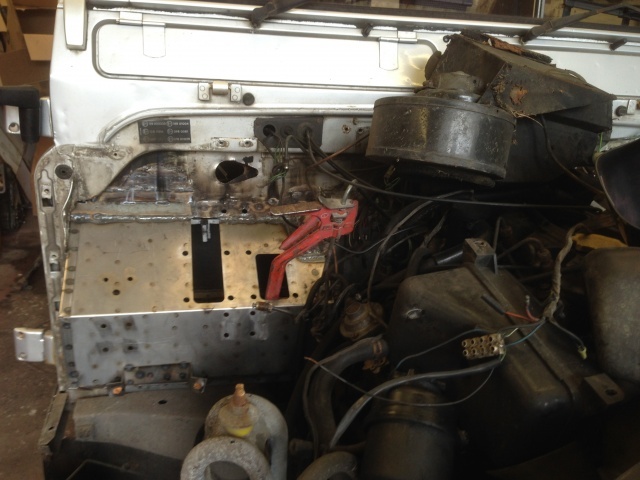 For a 100% restoration the Land Rover chassis or Land Rover bulkhead are removed from the Land Rover then stripped of any attached items so that they can be 360 degree shot blasted which will reveal what repairs are necessary. 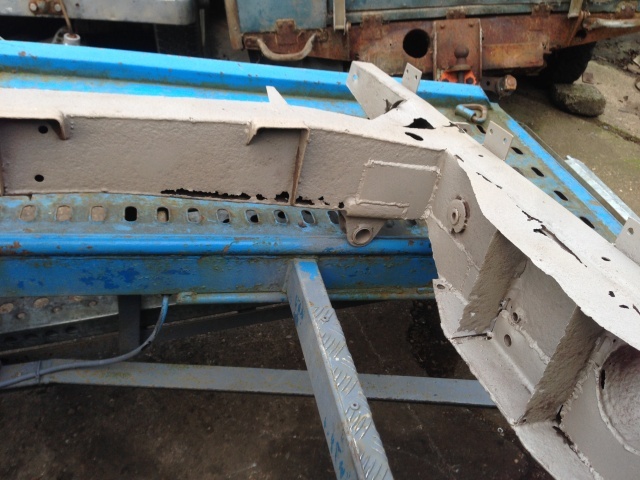 In certain circumstances they may be very little left of the original chassis/bulkhead after they have been blasted so it may not be possible to economically restore it but every circumstance is different and we will endeavor to restore if possible. 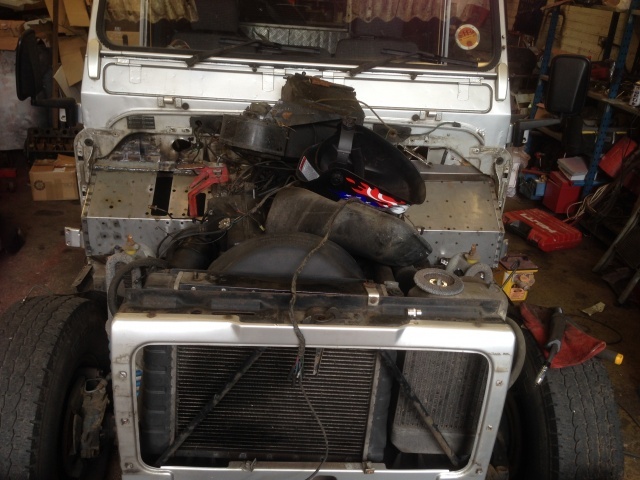 If the repairs are less major then we can repair chassis and bulkhead whilst on the Land Rover so shot blasting is not involved in that process. 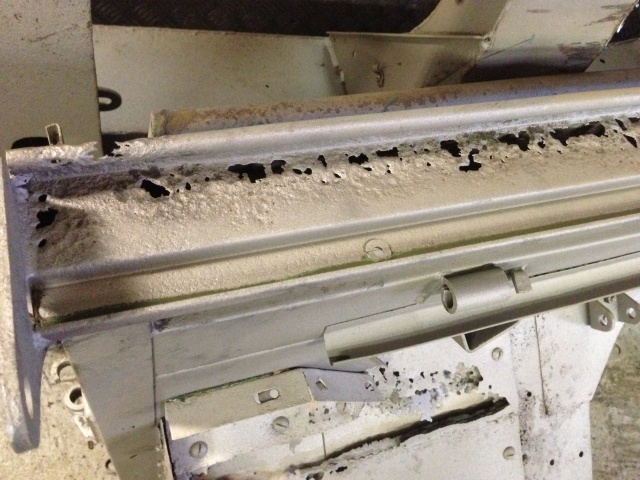 We have professional welding facilities to ensure a quality welding repair is carried out. 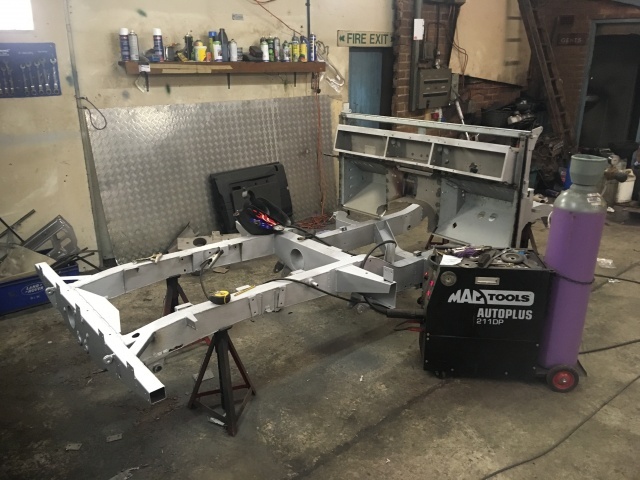 Land Rover chassis restoration post shot blasting typically involves several outriggers and cross members being replaced and main rail repairs fabricated from 3mm steel and MIG welded in place. 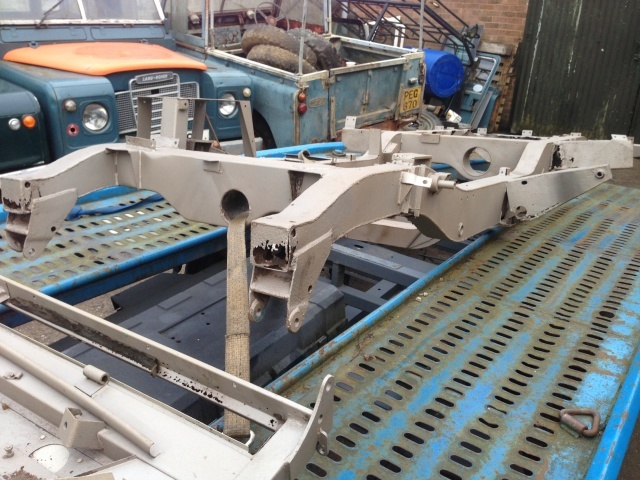 Once the chassis is restored a choice of finish is available ranging from paint, powder coat through to galvanising. 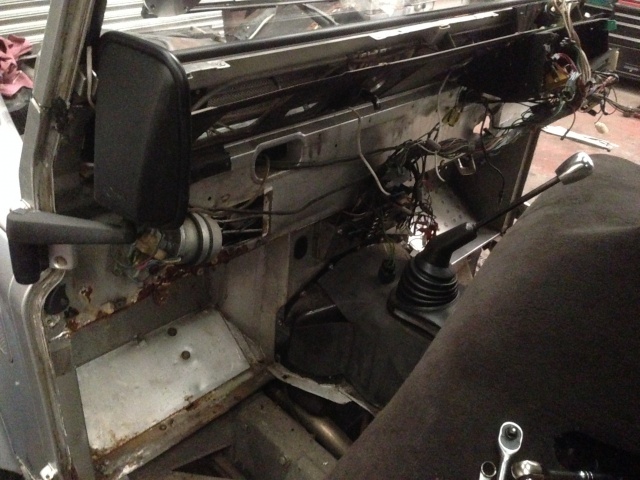 Land Rover bulkhead restoration post shot blasting typically finds extensive corrosion to footwells and door posted, top rails and corners around the windscreen hinges. 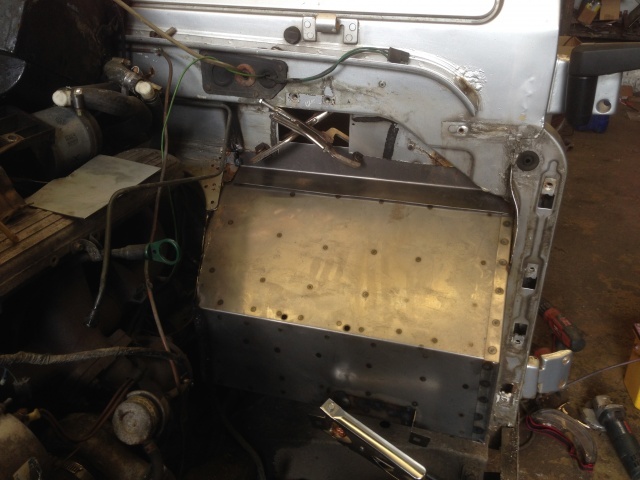 New sections are welded in place and other areas fabricated as needed. 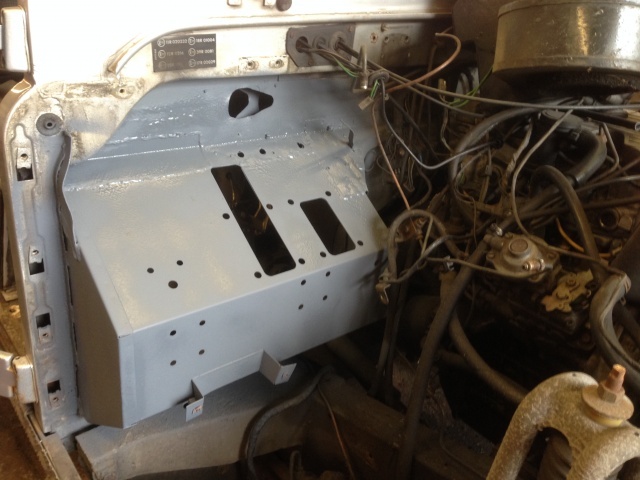 Once the bulkhead is restored a choice of finish is available from painting through to galvanising.